When most travelers think of Europe they think of capital cities with world-renowned historical sites: London, Paris and Rome, but the most intimate and authentic experiences happen when discovering the undiscovered. Off the path, under the radar, these destinations are easily accessible thanks to Europe’s extensive bus and rail network. So, the next ext time you are in Europe, get away from the crowds and see these cities too. Conquered by the Romans and again by the Moors, Girona features a varied wealth of architectural structures that attest to its past. A Jewish community flourished here for more than 600 years, adding to Northern Catalonia’s largest city an element of diversity. Built on the top a hill, the walled medieval quarter of Barri Velld overlooks the city where Ríu Onyar divides Girona’s compact historic center on the eastern banks of the river from the burgeoning commercial hub on its western banks. The labyrinth of cobbled lanes that constitute Barri Vell and the pretty pastel dwellings that run parallel to Ríu Onyar want people to explore. 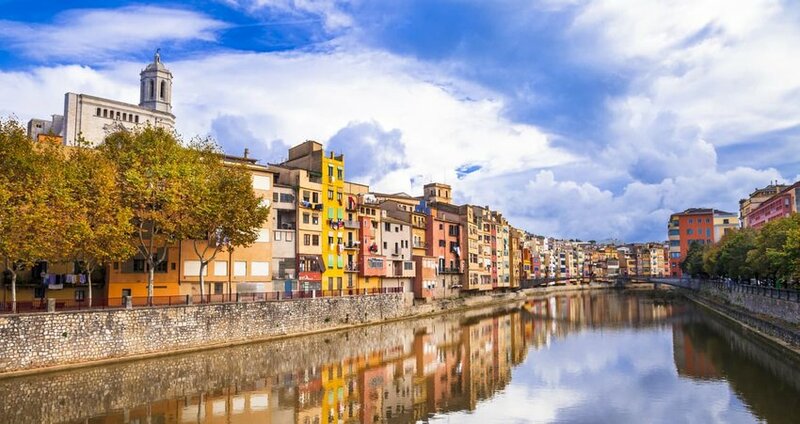 Discover the commercial galleries and spend an afternoon at a roadside cafe at 1 of the city’s elegant squares before shopping along Rambla de la Llibertat, Girona’s most emblematic promenade. 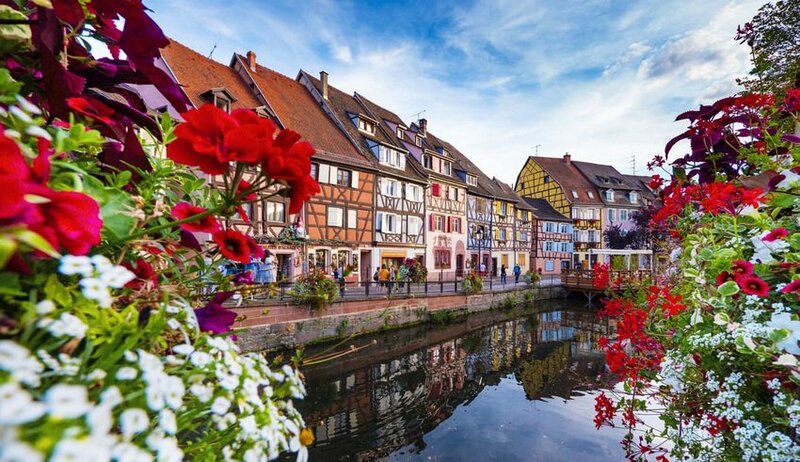 A 3-hour train ride east of Paris takes travelers back to medieval times in the fairy-tale town of Colmar in the Alsace region of France. Quaint and romantic, its heart is alley woven and populated by decorative half-timbered houses and buildings of baroque, neoclassical and renaissance styles. Its picturesque canals are lined by whimsical outdoor cafes on its cobblestone lane-ways. Its locale just east of the Route des Vins make this walk-able destination 1 of sophisticated food and wine. Colmar is the proud birthplace of Frédéric Bartholdi, the sculptor of New York City’s iconic Statue of Liberty, and a replica of Lady Liberty greets visitors to the town as a tribute to 1 of its most renowned citizens. Crowned as another one of Colmar’s treasures is Matthias Grünewald’s Isenheim Altarpiece, an unrivaled piece of religious painting on display at the Musée d’Unterlinden. Ghent is 1 of Belgium’s oldest cities and its collection of some of the nation’s finest museums, but it has escaped the tourist trail, overshadowed by neighboring Bruges and Antwerp. 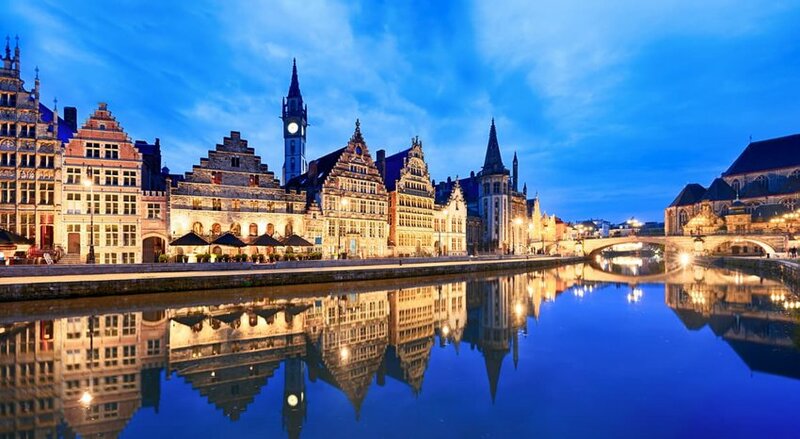 Ghent is slightly larger than Bruges but is big enough to be considered a lively cultural center. Behind the unassuming facades of medieval and classical buildings that line the Graslei lie characterful bars and sophisticated restaurants, making this quayside destination the social hub of the city. Among Ghent’s network of narrow canals are a trio of museums that reveal the city’s history and its role in shaping the arts: STAM, the Ghent city museum, S.M.A.K, the Municipal Museum of Contemporary Art, and MSK, the Museum of Fine Arts. This Flemish city’s most popular attraction is the altarpiece dubbed Adoration of the Mystic Lamb, completed by the Van Eyck brothers in Y 1432, which proudly stands in the city’s St. Bavo’s Cathedral. This is a slow paced city easily explorable by bicycle. Situated at the tip of a narrow peninsula sandwiched between the Bay of Strunjan and the Gulf of Piran is the pretty coastal town of Piran, which some compare to Venice. The marble-paved, oval-shaped Tartinijev trg serves as Piran’s main square, where a bronze statue of the 18th Century violinist Giuseppe Tartini stands among a collection of pastel Italian-style buildings. Tartinijev trg extends into several cobbled backstreets and arched alleyways, with Rozmanova ulica spiraling up to the Church of St George. Perched atop a hill with its accompanying bell tower that’s reminiscent of Venice’s campanile of St. Marco, the Church of St. George affords commanding views over Piran’s main square and the sparkling cerulean waters of the Adriatic Sea. The town’s seafood restaurants and architecture radiate a Venetian ambiance, making this lively Slovenian seaside destination a tourist-free alternative to the popular Italian destination. 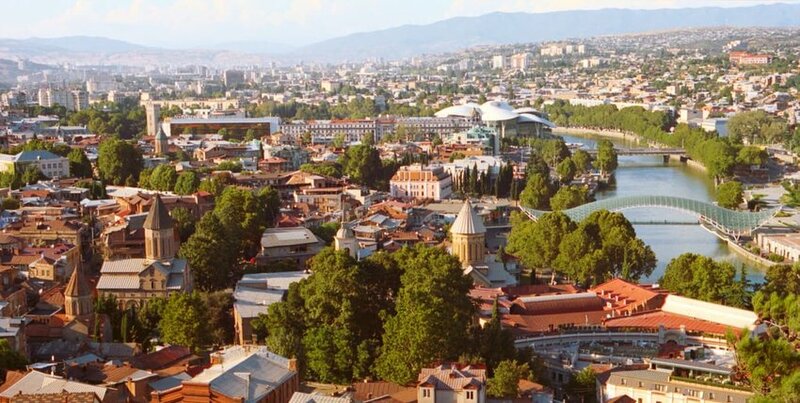 A destination long visited by travelers of neighboring countries, the Georgian capital of Tbilisi remains little known among Western tourists. At the crossroads between Europe and Asia, Georgia is bordered by Russia to the north, Azerbaijan to the east, Armenia to the south, and Turkey to the west. Its cultural influences are evident in the varied street food offered in its market stalls. Tbilisi’s Old Town hosts a collection of traditional balconied homes with elegantly ancient facades. Local vendors and peddlers with fresh colorful produce stand against stunning Orthodox cathedrals sporting frescoed interiors and mosaic-covered exteriors. Its age-old charms are overlooked by the 4th Century Narikala Fortress atop a steep hill, a historic icon of Georgia’s defense. Though rich in history it maintains a small community atmosphere. Though it boasts an element of modernization through its international 5-Star hotel chains, stylish cafes and burgeoning alternative arts scene. Happy travels this Holiday season.